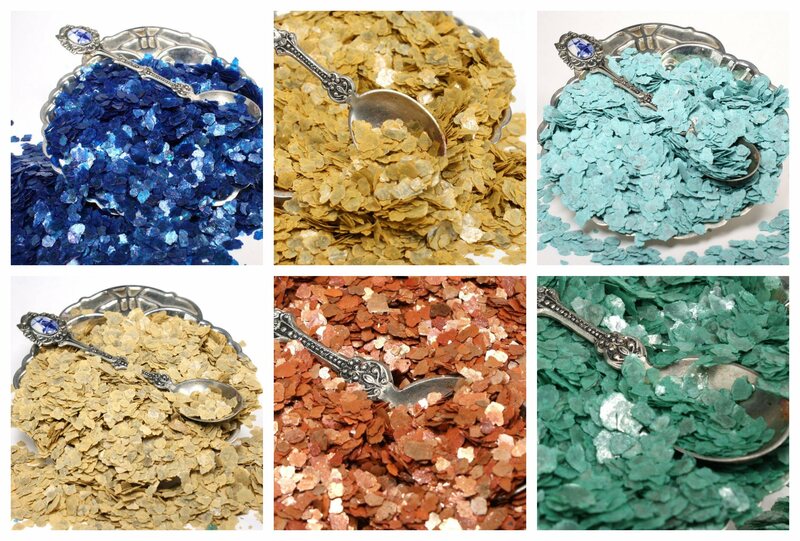 The newest additions to our Mica Flitter Flakes capture the brilliant colors of the earth, sky, and water. 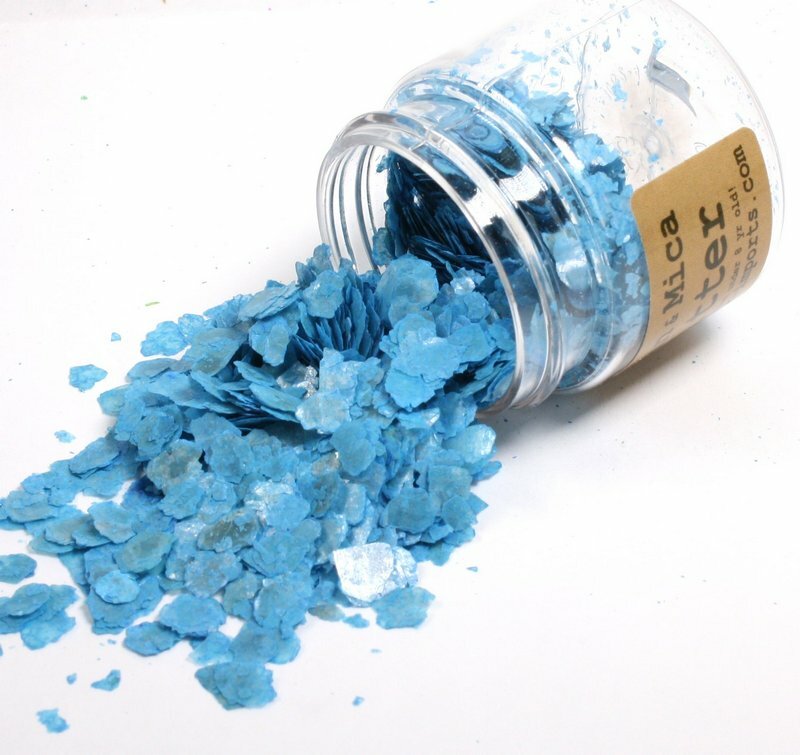 The new mica colors making their Summer 2018 debut are Sapphire Blue, Amber Gold, Ice Blue, Stone Yellow, Rusty Orange, and Jade Green. 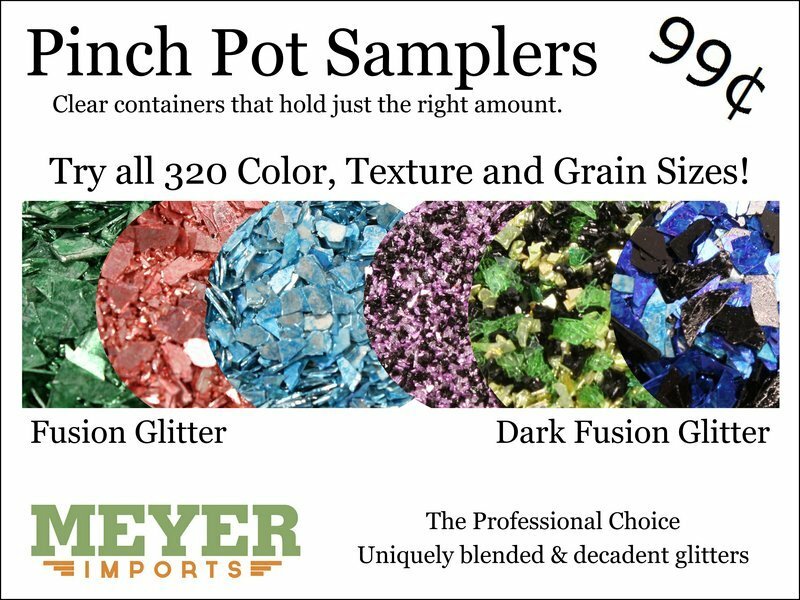 These 6 new shades join our large selection of over 30 mica colors that range from lovely Cream White to the dramatic Ultra Black. 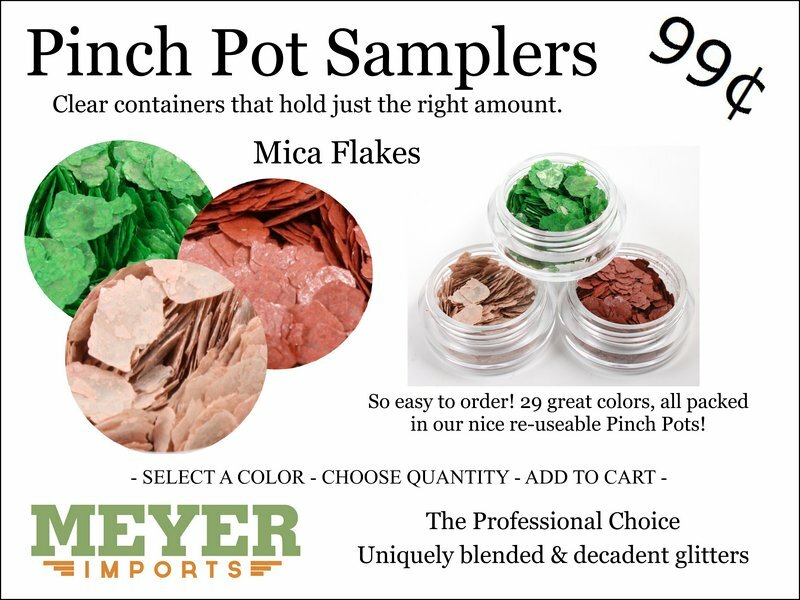 See all Mica Flitter Flake colors. 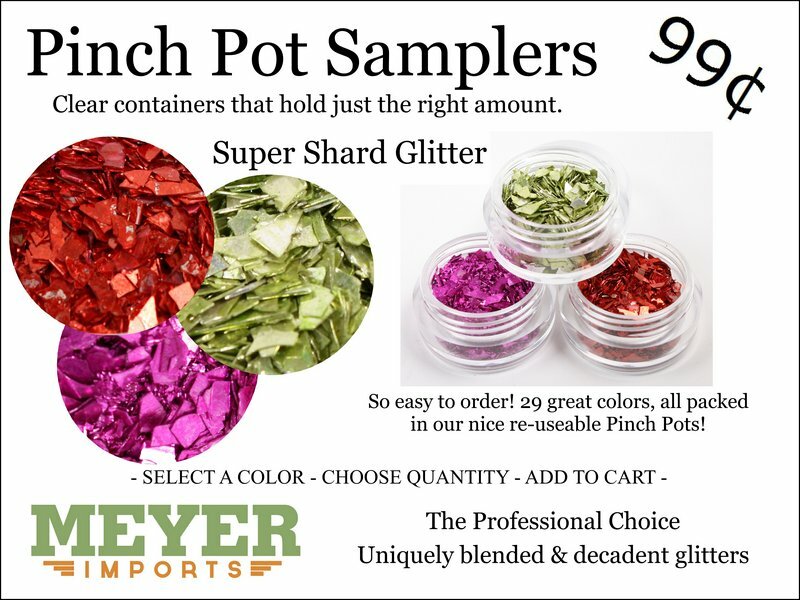 Let’s take a closer look at these pretty new colors! 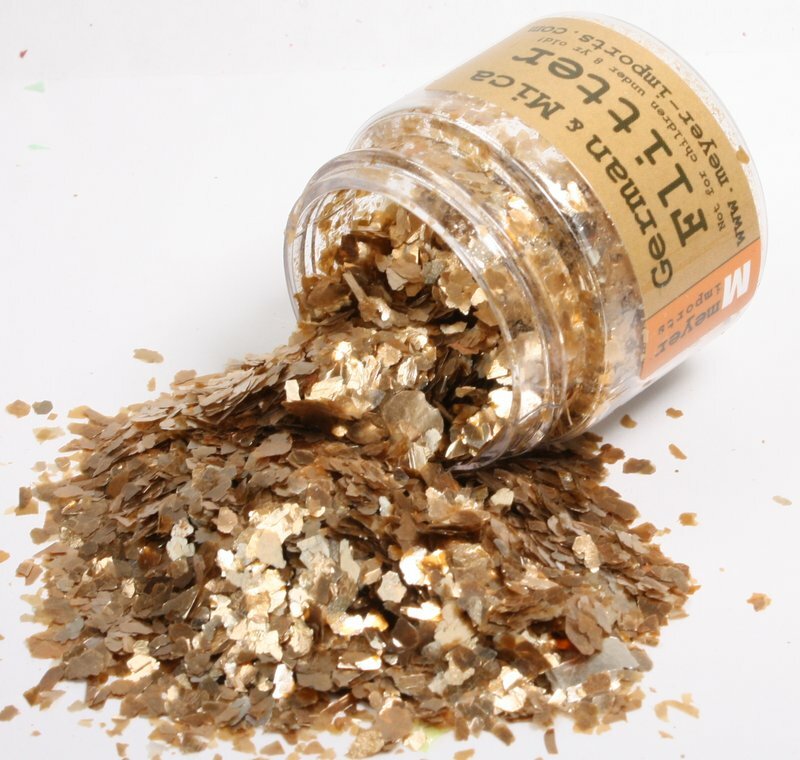 Like all our Mica Flitter Flake products, these earth-tone flakes owe their radiant color to both natural and manmade sources. 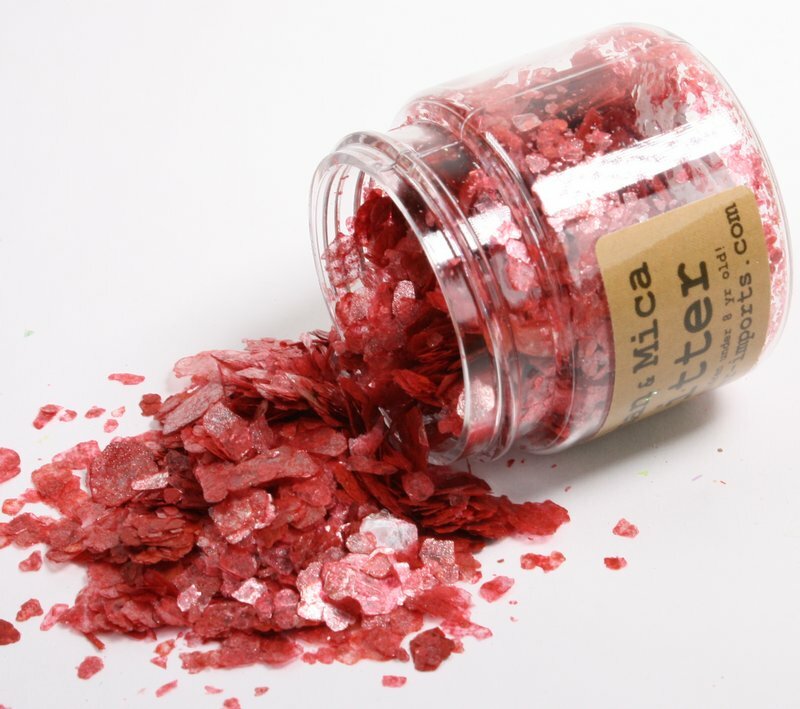 Appropriate for a variety of applications, this color is permanent and will not bleed if mixed with glues or solvents. 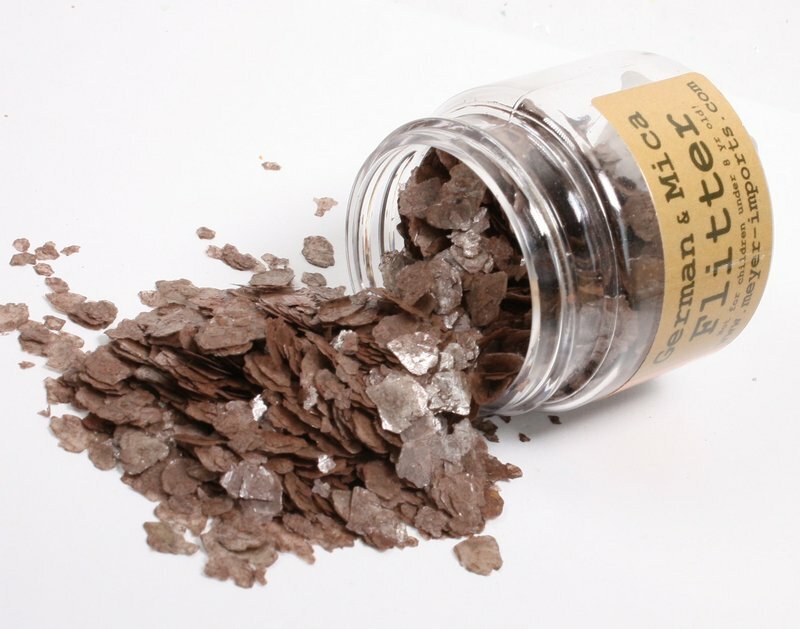 Mica flakes are non-toxic and safe for use in art, craft and decorative projects. 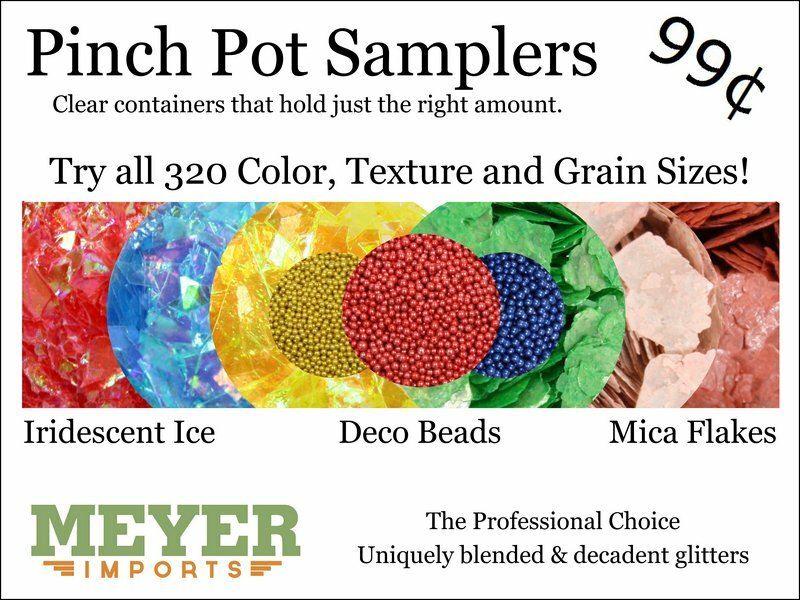 Popular uses include decorative paper products, paint, glass arts, textiles, and much more. 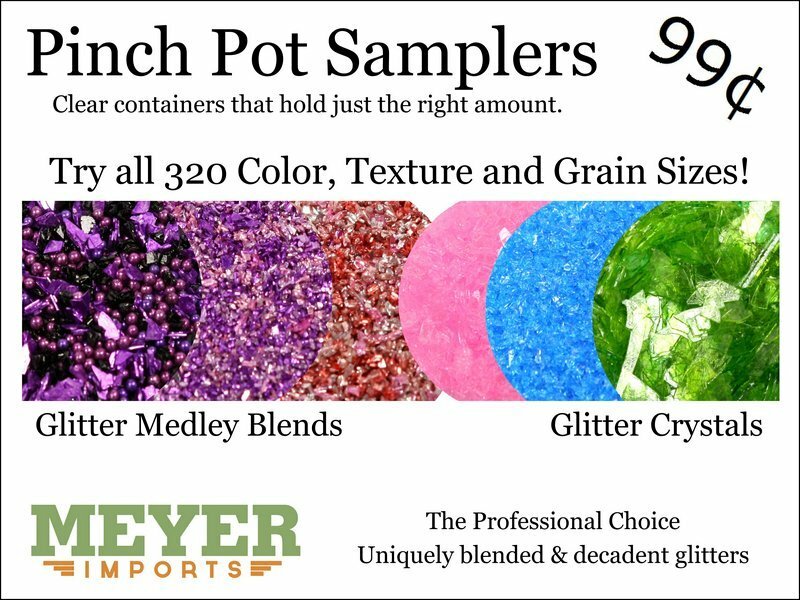 What will these new colors inspire you to create? 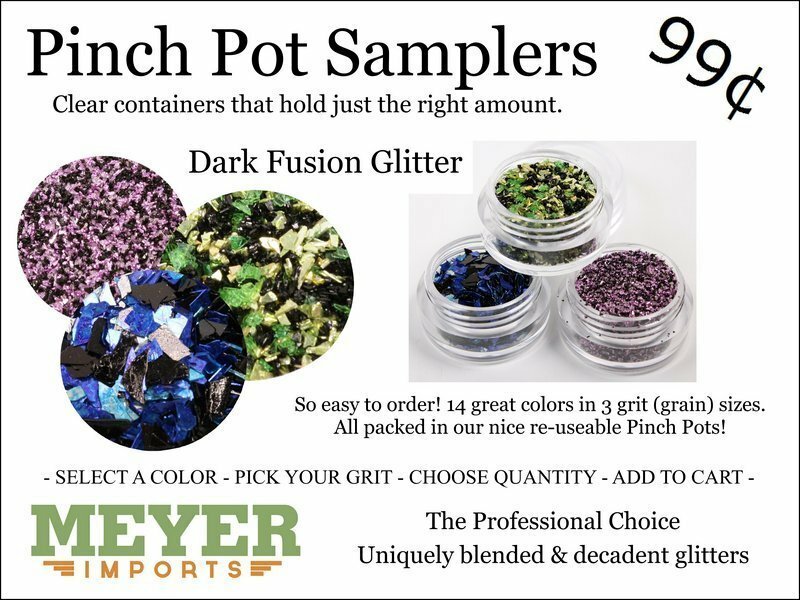 Shop these new colors and all our Mica Flitter Flake and German Glass Glitters for crafts that will dazzle and amaze! 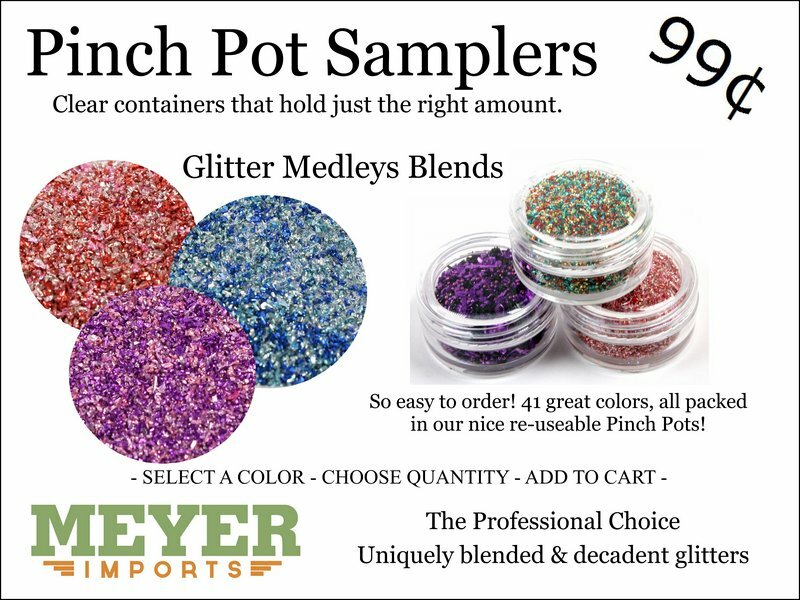 Grab your scarves and leather boots and snuggle up with everyone’s favorite fall combination – pumpkin spice – now available in glitter! 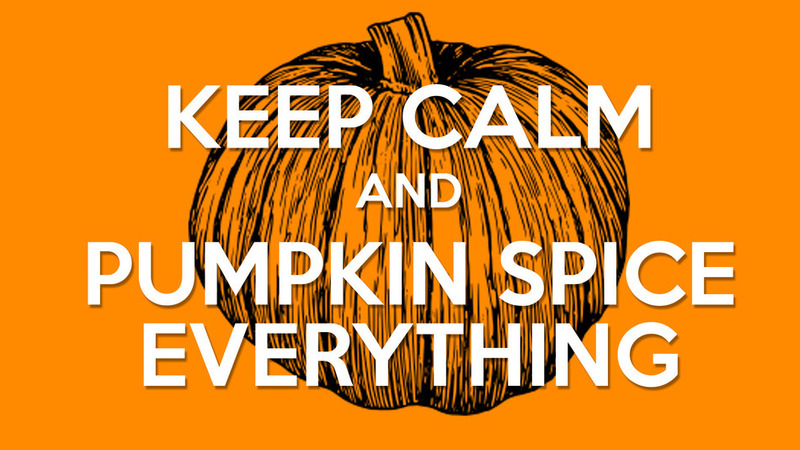 Just like the seasonal Starbucks beverage, our pumpkin spice glitter blend is warm, toasty, and perfect for autumn. 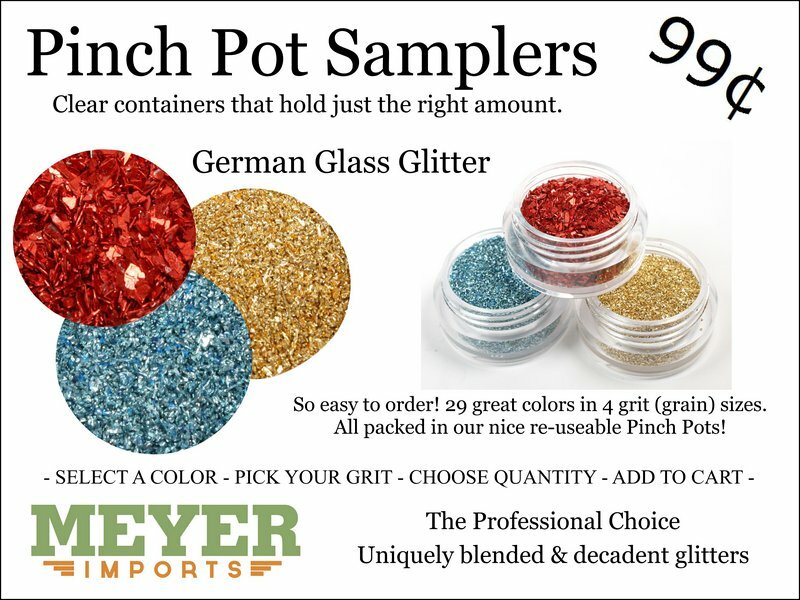 A Meyer Imports’ exclusive, our pumpkin spice glitter medley is made from finely ground real German glass glitter that is silver coated for extra sparkle. 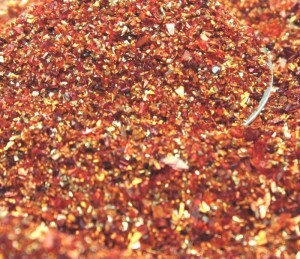 This glitter blend incorporates the lovely hues of orange, light brown, and copper for a mix that is uniquely fall. 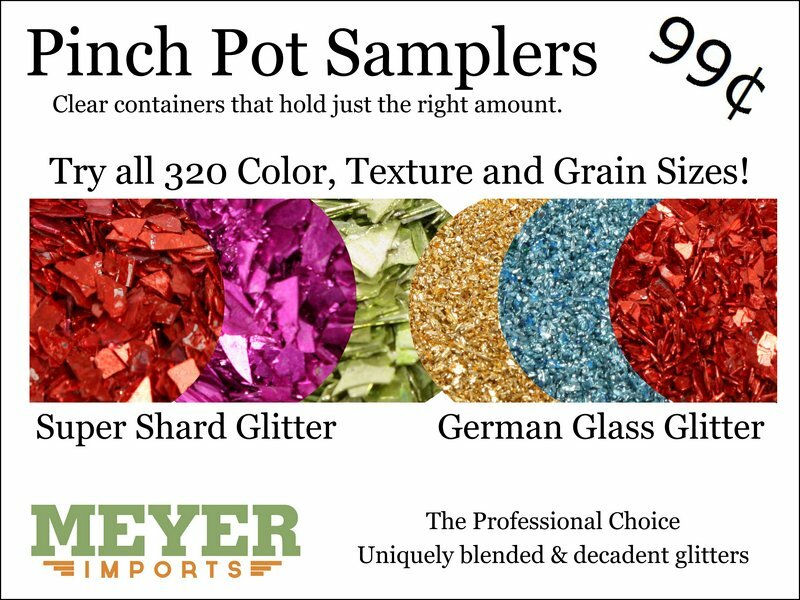 Over time, a beautiful patina ages the colors, giving it an authentic vintage glass glitter look. Add a little pumpkin spice love to all your autumn crafts from seasonal décor to tablescapes, greeting cards, candles and more. 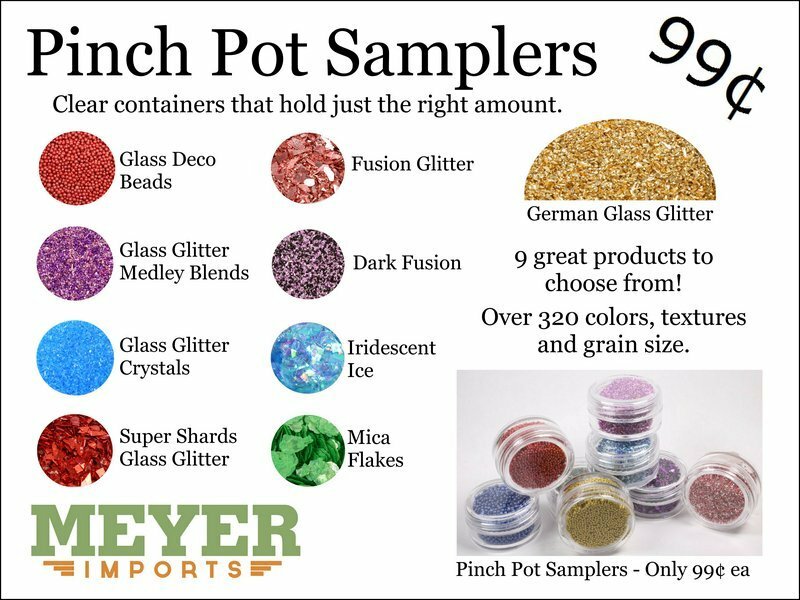 Like all our real German glass glitters, pumpkin spice glitter is available in a 1-ounce “pinch pot”, as well as 4 or 8-ounce bags. 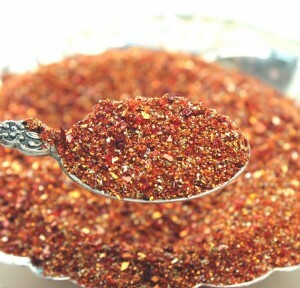 Kilo or pound quantities are also available for those who can’t get enough pumpkin spice glitter. 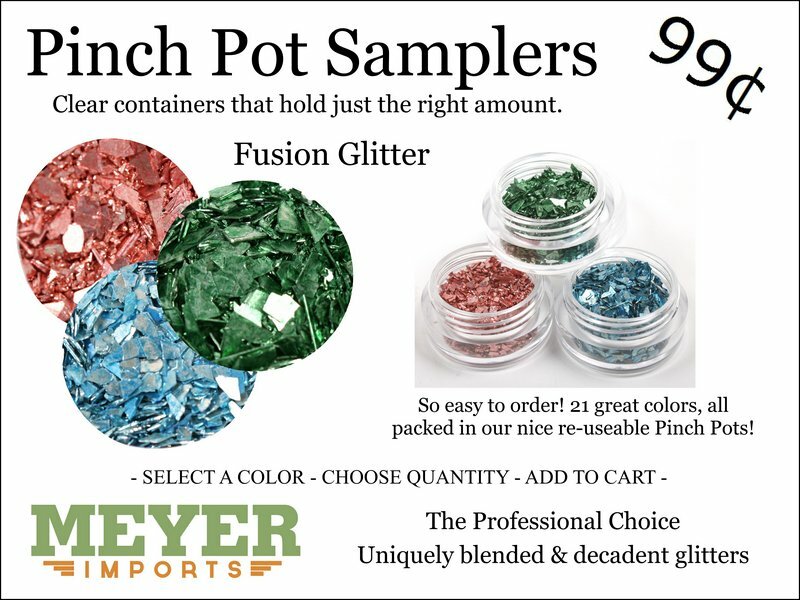 Unlike Starbucks’ offering, pumpkin spice glitter is always in season at Meyer Imports and we keep our shelves well stocked. 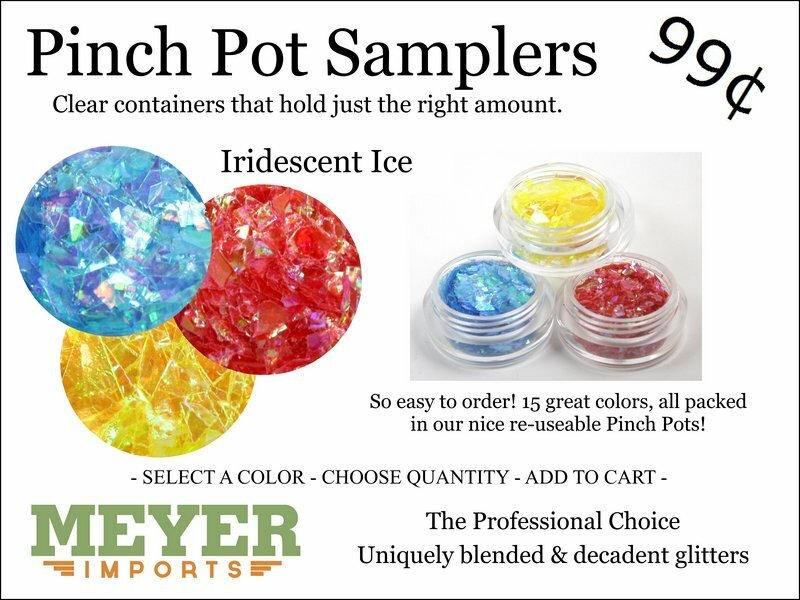 Give it a try this season! Why do we do this? 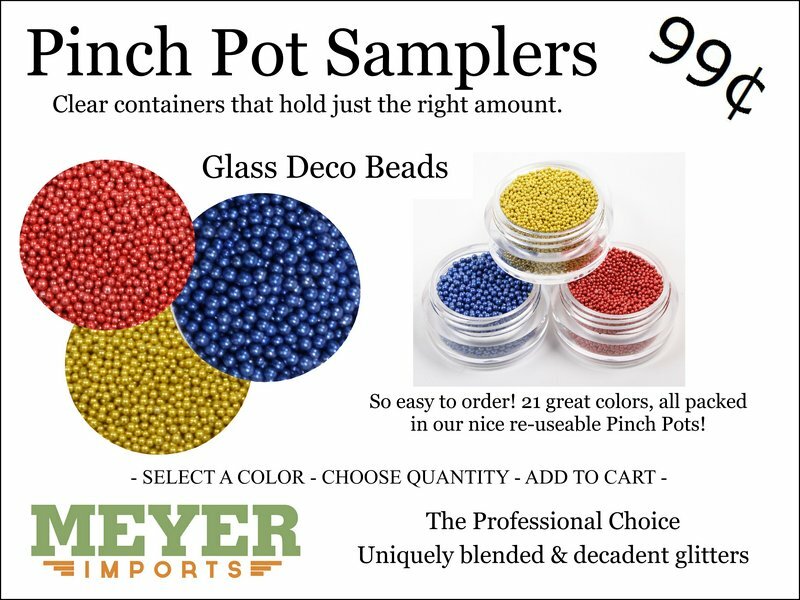 Why do we work so hard to stock thousands of products, that are so niche, so outside of the normal mass market? Why do we focus on only working with small manufacturers in Europe, that do not have distribution (at all) except through us? Why do we deal with customs, exchange rates, VAT, transport delays and the huge investment in inventory that we hold? Because, somewhere today a child is opening a box and getting to read a story, play a game with friends (or better yet, their parents) and in that game is a little mouse. 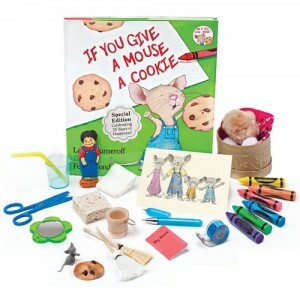 A mouse that started life in a family run factory in Germany, made it across the ocean to us, who then moved it to Primary Concepts, who then assembled him into a great activity for kids. 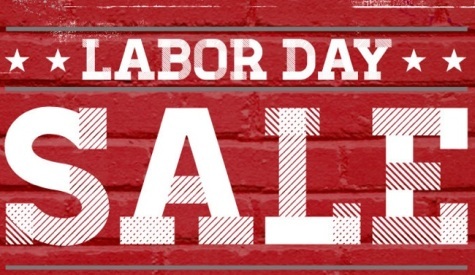 I know I could write this blog post with a thousand other examples of our products being bundled into products from Disney, Neiman Marcus, thousands of independent designers and artists and even Apple (look at the Apple store floor, really carefully the next time you are shopping for an iPhone. 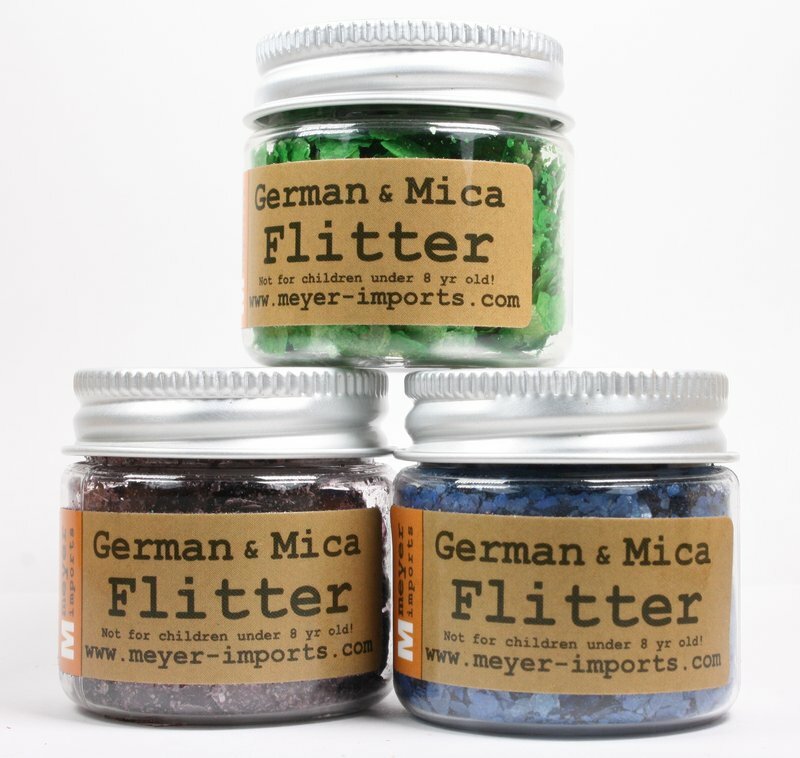 Yep – Meyer Imports Glitter). But our little mouse is the most impressive to me. He is such a hardy little fellow, he has travelled so far, left all his little mice buddies and his mouse family to become part of some childs’ world, who will never know the “rest of the story” on this little fellow. Thanks Primary Concepts for being such a great customer and for giving our mice a path into the hearts of children everywhere! 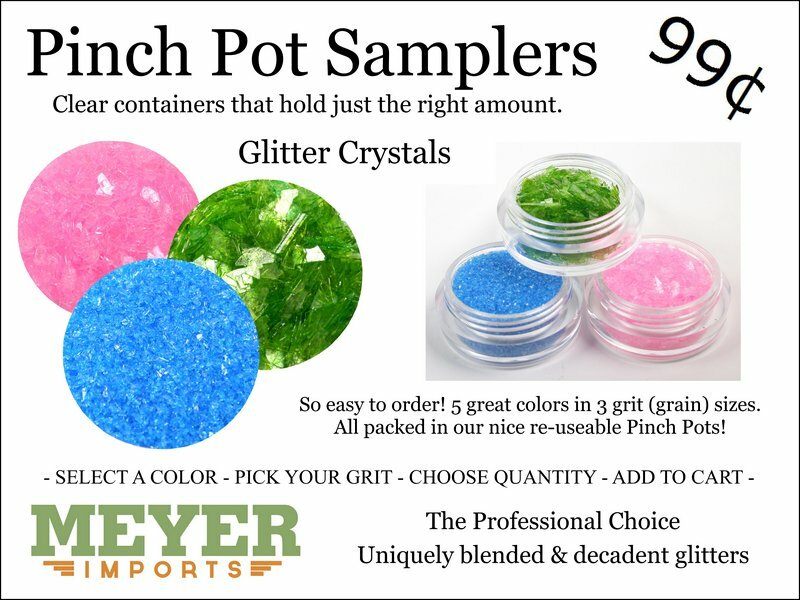 We are very happy to announce a new line of our very unique imported colored Mica Flake in large 3 jar sets. 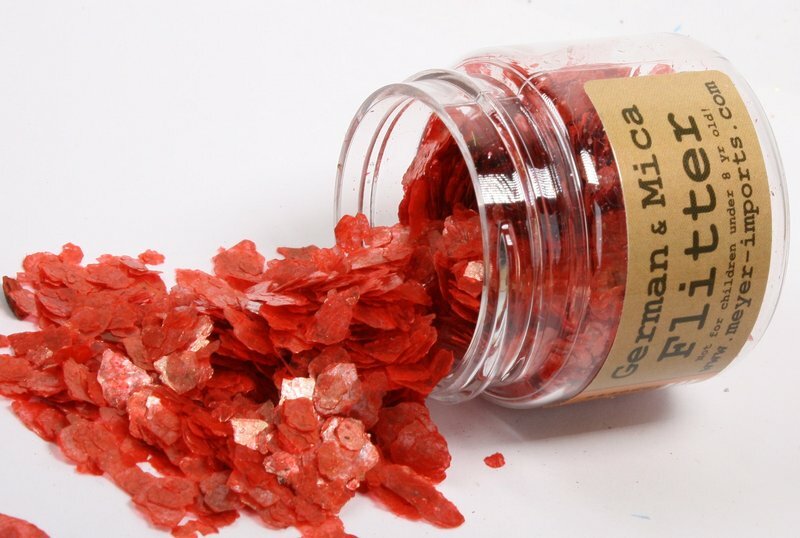 Just incredible natural and man made color, these Mica Flakes are permanently colored and dyed flakes that will not bleed if mixed with glue or solvents. 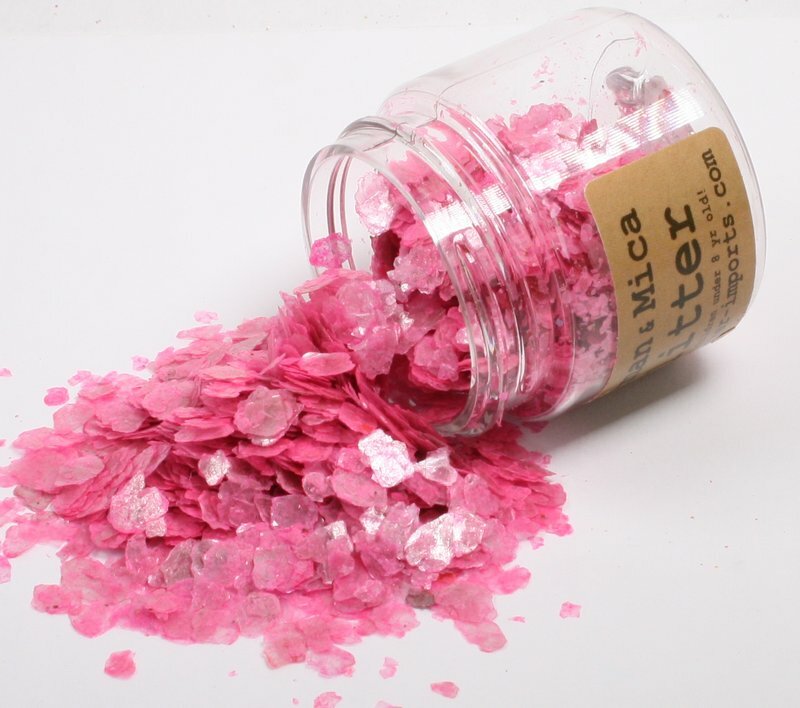 The are Mica Flakes are packed in sets of 3 different colors, all packed in large mouth 1 oz jars. 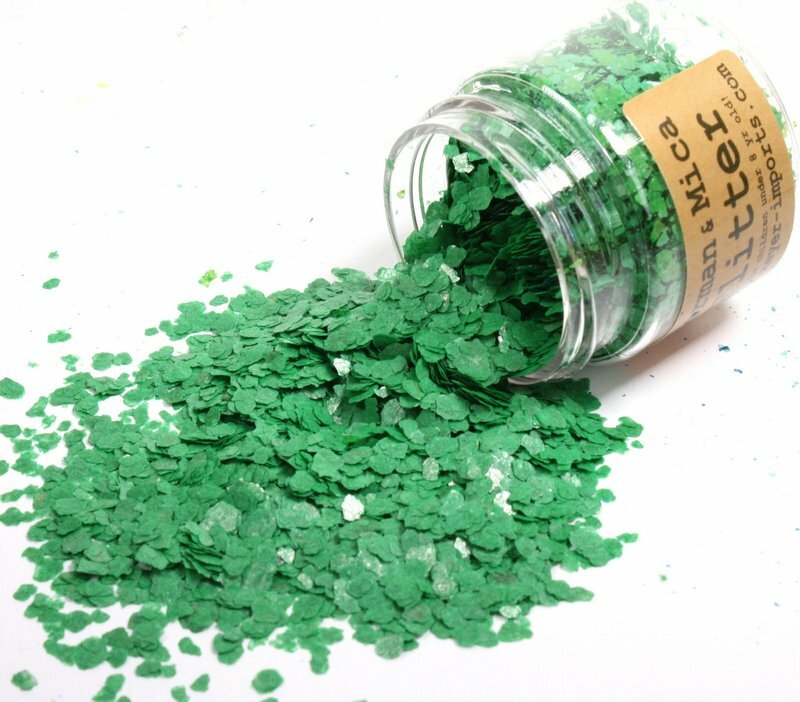 These are packed by volume (not weight) as Mica Flake are very, very light! 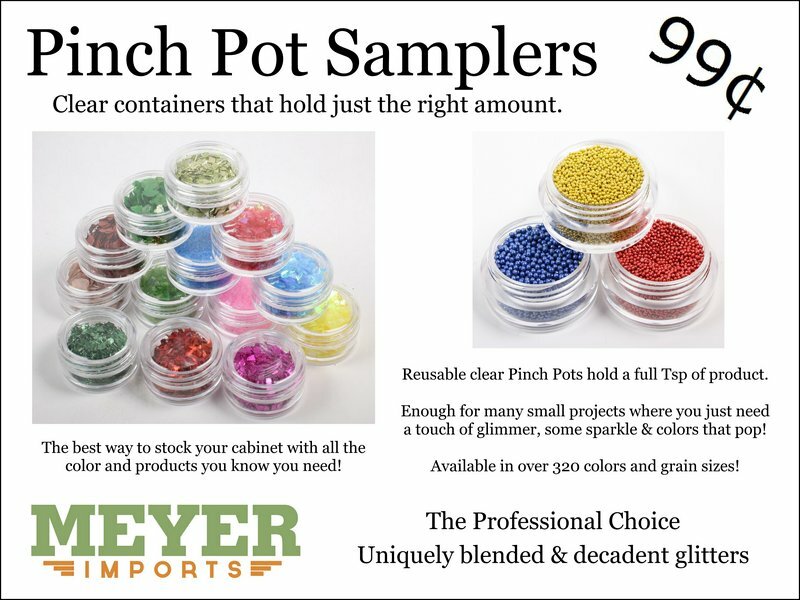 Over 30 different shades and colors!